Trips in Tech – Page 2 – Software, hardware, science and a sprinkling of robotics. Here are a few projects. 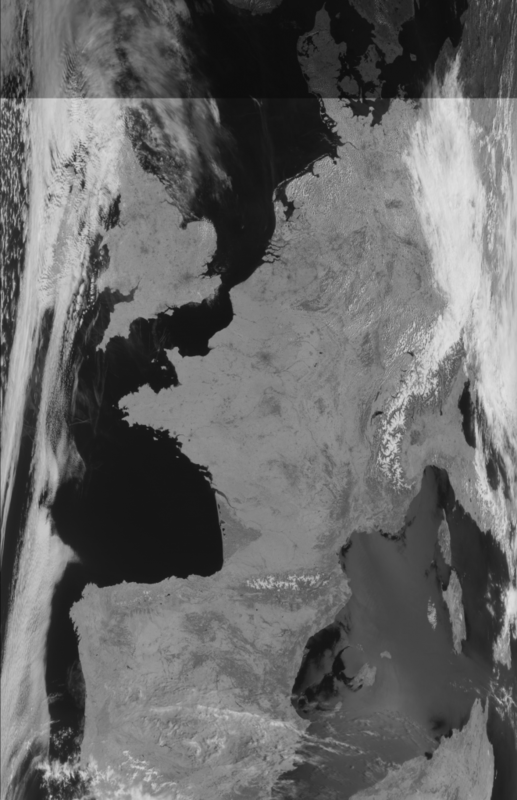 NOAA 19 25th May 2017 – A sunny day in the UK and Europe! 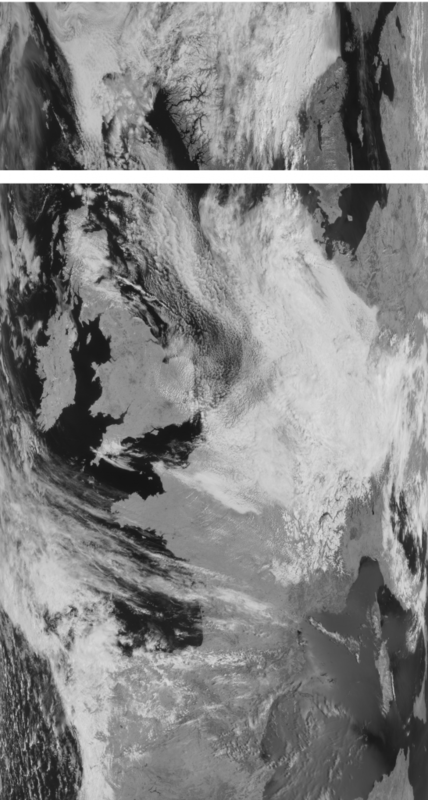 Posted on 26th May 2017 5th June 2017 Author AlexCategories Satellite ImageryLeave a comment on NOAA 19 25th May 2017 – A sunny day in the UK and Europe! Control a satellite rotator automatically from Orbitron by sending it the azimuth (or other properties) via serial. A while ago I wrote some code to listen to Orbitron using it’s DDE inter-process comms and send the satellite information string over serial to potentially drive an aerial rotator. I’ve since updated the code and thought I would share it here. Update 13-02-2019: Orbitron doesn’t seem to work well unless you run it as admin – it can’t save files to its install dir and won’t pick up config changes. Please let me know if there is a work around for this. 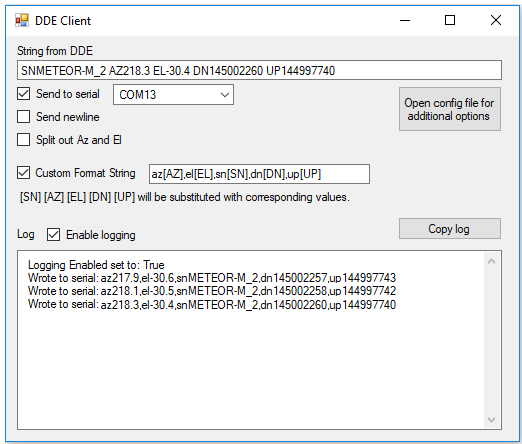 Download dde-orbitron-serial-feb-2018 (tested on Win10) unzip it somewhere sensible. The DDEOrbitronToSerial application should now launch and you will be able to select your COM port and output the satellite data to the serial port. NB: You can edit additional options such as com port baud rate in the config file by clicking the open config button. Any bug reports or feature requests are welcome! This seems to be a breaking change between when the latest laracast tutorials were recorded and the version I am using. This was due to a hidden field not being on a form which is required when using POST.